Contact Thomas Cook for information about flying with your animal by calling their pet travel scheme phone number 0870 241 1710 (13p/min + access charge). You should dial this number for details about how much it will cost to take your pet abroad, how long it will have to remain in quarantine as well as any vaccinations required before you travel. Please note that this number is charged at 13p per minute from UK landlines and that calls made from mobile telephones may cost you significantly more. Furthermore this helpline is open 8:30am-5:00pm Monday-Friday so please contact them beforehand if you are flying out of the country on a weekend. 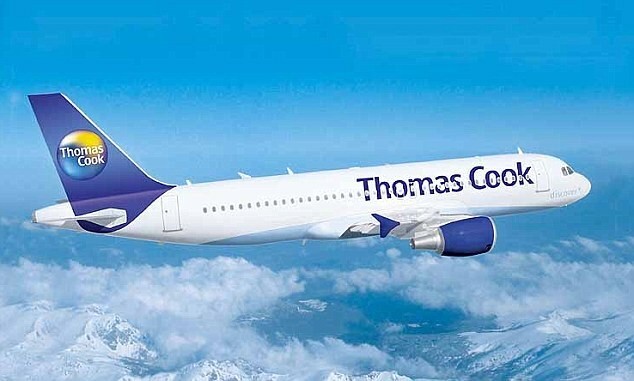 Contact Thomas Cook to book an airlines ticket by calling their reservations helpline 0844 855 0515 (7p/min + access charge), which you can also use to enter voucher codes and air miles to pay for your flight. You should also call this number to ascertain whether you need a doctors certificate to fly due to a pre-existing medical condition. Similarly if you are registered as blind you can call this helpline to notify them that you will be flying with your guide dog. Contact Thomas Cook to get a quote for a travel insurance policy by dialling their UK phone number 0844 879 8372 (7p/min + access charge), where you can also upgrade your policy to multi-trip cover if you are planning on going abroad more than once in a year. Please remember to give correct medical details before you travel otherwise your right to make a claim may be affected, particularly if you suffer from a pre-existing condition. In the unfortunate circumstance that someone covered by your policy falls ill whilst travelling you can call this helpline to make a claim against any medical costs incurred. Please note this number is for customers with a standalone travel insurance policy, thus if you have taken out cover as part of an inclusive holiday package please call your customer service team by dialling 0844 879 8400 for 7p/min + access charge instead. 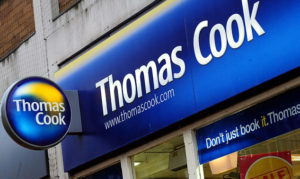 Phone Thomas Cook Insurance by dialling their UK contact number 0871 360 1368 (13p/min + access charge) to make a claim on your car hire excess cover policy in the event of an accident or other damage to your vehicle. However please note that this may affect your eligibility to receive no claims discount on your UK car insurance policy. Alternatively if you haven’t travelled yet you may phone this helpline to get a quote on a hire car, however you must enter your details correctly otherwise your claim may be invalidated. Call 0871 360 271 (13p/min + access charge) to speak to a Thomas Cook customer service advisor about parking in the airport you are travelling from and to book a hotel prior to your travel. For example they may liaise with their affiliated partners to get you a cheaper deal if you stay in one of their hotels when you travel overseas. You should also call this number to confirm their parking charges and to notify them that you have been unfairly fined whilst parking your car at the local airport.